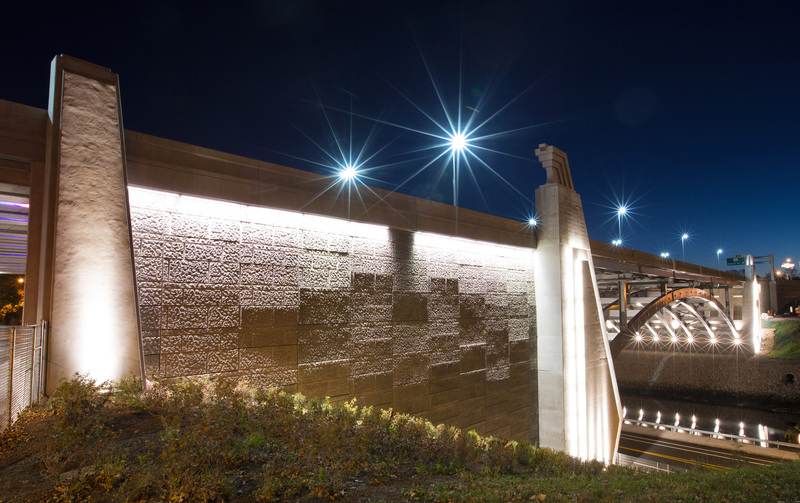 RIDOT engaged NCA to collaborate with Commonwealth Engineers & Consultants, Inc., Ventrone Architecture, Abernathy Lighting Design and the Pawtucket Mayor’s Bridge Design Committee to develop a new design for Interstate 95 Bridge Number 550. Native Americans call the place where trails meet to cross a river Pawtucket. During the 18th Century settlers crossed the Pawtucket River seeking religious freedom in Rhode Island Colony. During the 19th century, Pawtucket’s Slater’s Mill marked the birthplace of the Industrial Revolution and the bridge spanning the river became a commercial thoroughfare. 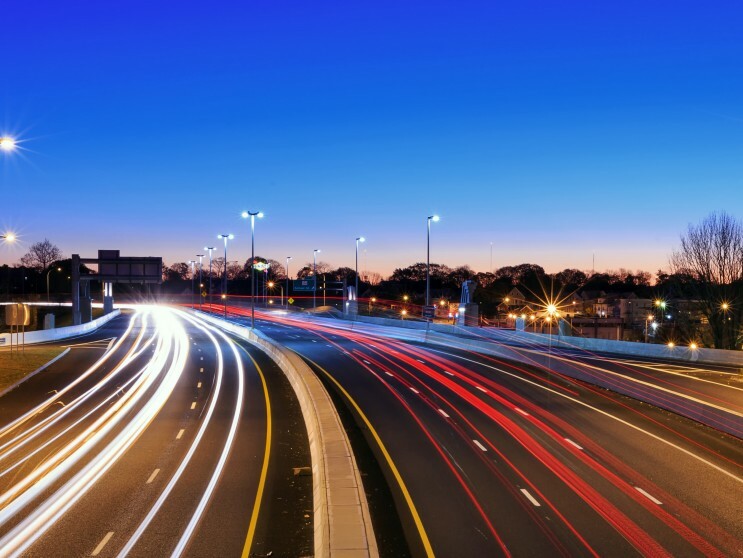 By the mid-20th century, Interstate 95 was the most traveled highway in the nation. In 1958 a new Pawtucket River Bridge was built to carry I-95 traffic over the Pawtucket River. 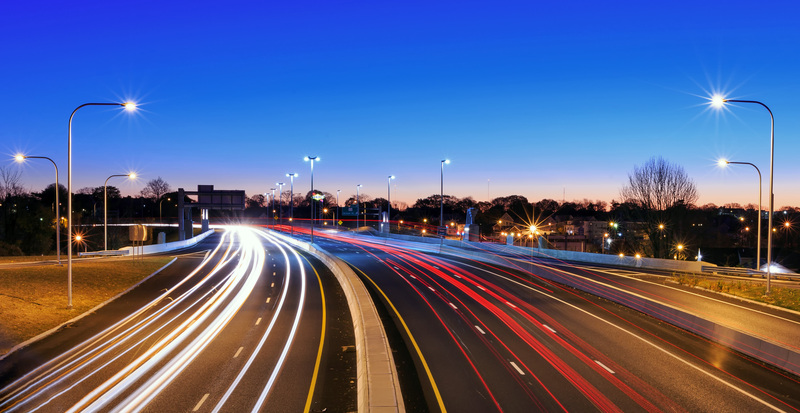 According to the Rhode Island Department of Transportation, 162,000 vehicles travel across the Pawtucket River Bridge every day. 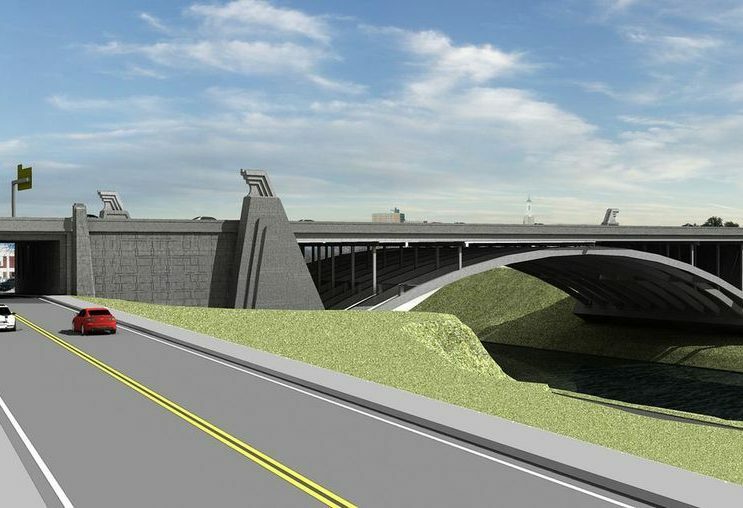 The defective Route 95 overpass created an opportunity to demonstrate that State and Federal governments could collaborate with the design team to replace the aging Pawtucket River Bridge No. 550 and revitalize the historic city’s gateway. 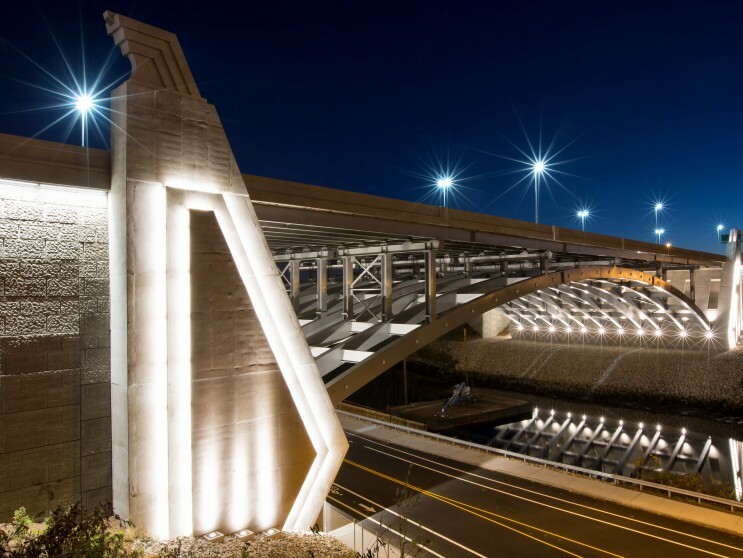 The design challenge was not to create a linkage over a relatively narrow New England waterway but to convey the series of extraordinary events that for centuries converged at this very spot. 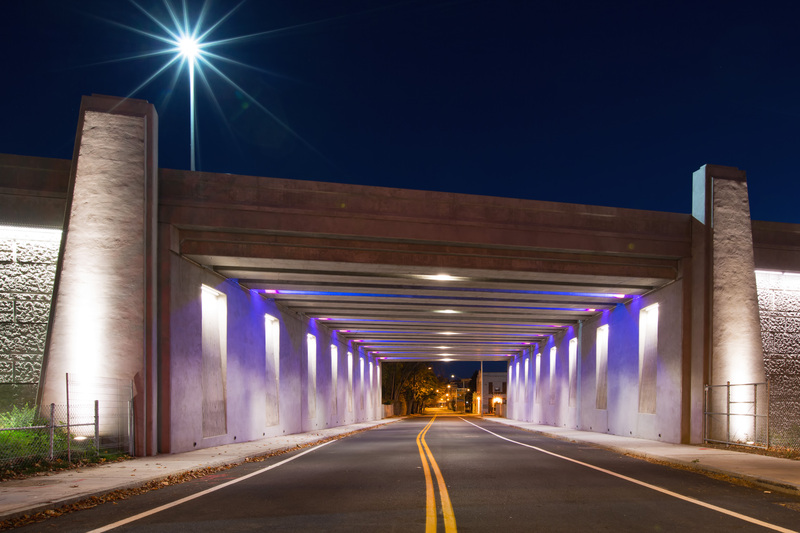 From hand-hewn covered bridges to steel and concrete marvels, Rhode Islanders have long expressed pride in bridges and regard them as iconic structures. 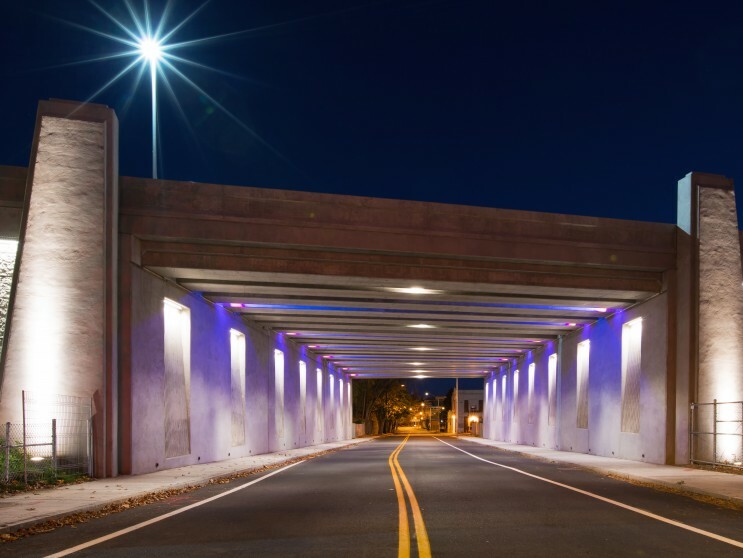 The project entailed replacing three separate structures with a bridge to carry I-95 Northbound; a bridge to carry I-95 Southbound; and a bridge for the on and off ramps to George and School Streets. 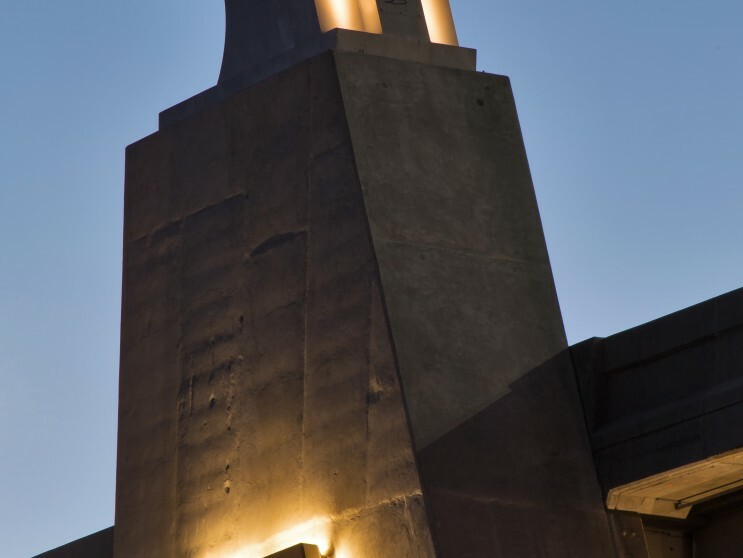 Inspiration for the bridge’s Art Deco design came from other structures in Pawtucket built during the Great Depression, such as City Hall, McCoy Stadium and Shea High School. 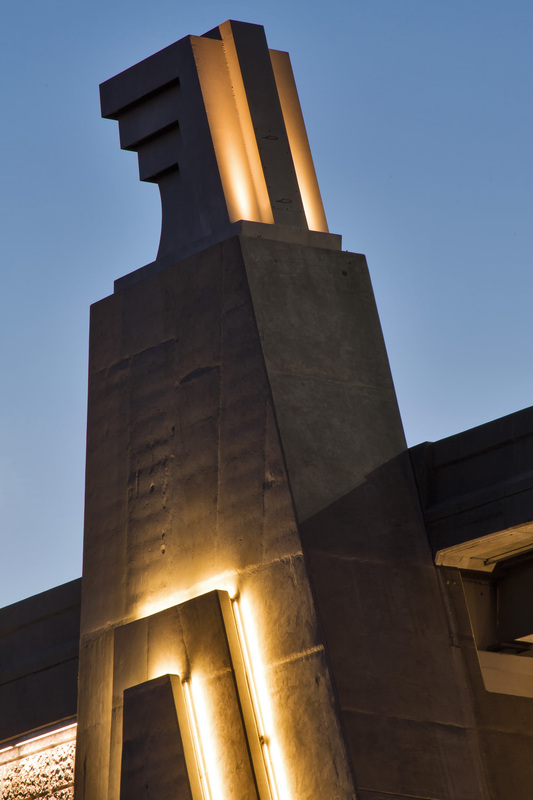 The new bridge’s four pillars feature representations of Art Deco wings on the eagles chiseled atop the tower at City Hall. 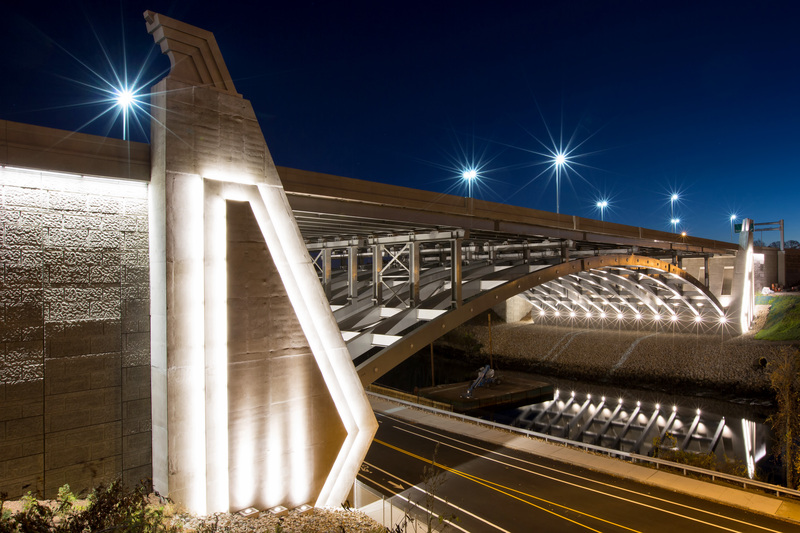 Seen from the river, the bridge, made of metalized steel and illuminated at night with colored LED (light-emitting diode) lighting, displays a graceful silvery arch over the Pawtucket River. 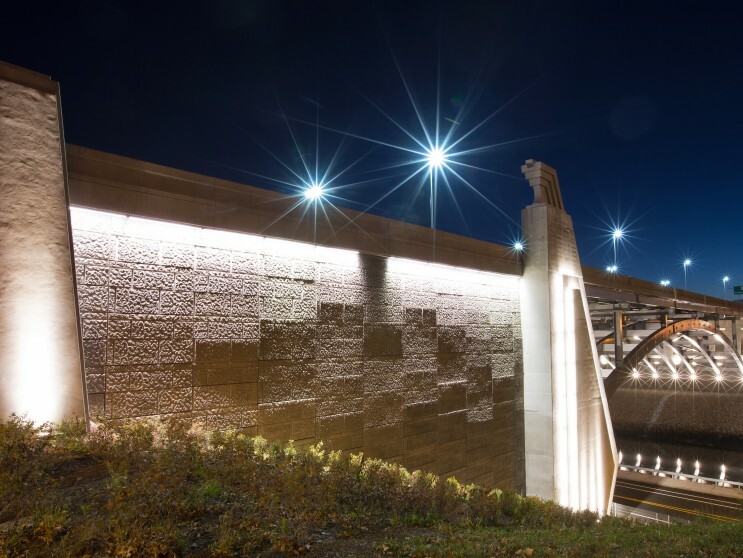 This project earned the 2013 AIA RI Honor Award for Urban Design, the 2014 Illuminating Engineering Society Award of Merit and the 2014 Slag Cement Association Architectural Award.